I have been privileged to watch the 10 previous presidential elections closely. In the course of each of them, it was said that this was a uniquely important presidential election—that the country was at a turning point, that the decisions that were going to be made would shape the future irrevocably. Sometimes clichés turn out to be true. It is said that the current presidential election is uniquely important—and this time, I believe that is correct in the economic arena. While the election will set a course for the country on very fundamental issues of foreign policy—from Iraq to Iran to our approach to the Islamic world generally—and on fundamental domestic issues concerning civil liberties—as the next president is likely to appoint a significant number of Supreme Court justices—my focus is on the economic agenda. There are half a dozen such issues today, each one of which is as important as the most important issue at the beginning of most presidential terms. I say this with some sense of the economic issues that faced the country in 1993 and in 1997, and that would have faced a new Democratic president in 1988, 2001, or 2005. The critical issues facing the new president begin with the cyclical situation of the real economy. While there are reasonable arguments to be made about how far along we are with respect to the current financial crisis, there is every reason to believe that the distress in the real economy is only very partially advanced. Economic history suggests that there are two primary kinds of recessions. The recessions that were standard in the United States for most of the post-World War II period might be called Federal Reserve inflation control: inflation got out of control, the Fed hit the brakes, the economy skidded, the Fed took its foot off the brakes, the economy recovered. In many ways, the more serious and profound source of economic instability is asset-price collapse: credit-crunch recessions of the kind we are experiencing now. This is the kind we experienced after 2001, the Japanese experienced in the 1990s, and we in the United States experienced during the 1930s. Because of the strains they place on the financial system—which at the same time loses capital and loses the ability to lever the capital that it does have—such price-collapse recessions typically tend to involve protracted, painful recoveries. Alan Greenspan has pointed out the resilience of the American economy, highlighting the fact that our financial system has relied on two pillars, banks and capital markets. When one goes down, the other takes up the slack. It was capital markets filling in for banks in 1990, and banks filling in for capital markets in 1998. On the other hand, currently, because of the close integration between banks and capital markets, both are seriously inhibited, raising real questions about the growth process. By the end of this year, the best available estimates seem to suggest that even after raising tens of billions of dollars of new funds, our banks and capital-market institutions will have had a net loss of at least $200 billion of capital; given normal leverage of that capital, that implies that they will hold at least $2 trillion less in assets: the loans to each other and companies and consumers that support economic activity. As if that were not enough, consumers are also suffering from lost housing wealth on an unprecedented scale. Depending on which measure is selected, housing prices have declined by 15 percent already, and may well decline by another 15 percent; very likely there will be close to 15 million homeowners living in houses in which they have negative equity. Consumers are also suffering from a substantial reduction in spending power due to $4.00-per-gallon gasoline and to higher food prices and prices of imported goods as the dollar declines. In percentage terms, consumption’s share of U.S. gross domestic product (GDP) rose from the high 60s to the low 70s during the past decade. We now know that consumption was too high to be sustainable, that housing prices were too high, and so on. So that source of growth has reversed, especially with the other price pressures consumers face. More generally, the inflation rate has been relatively high, and many are concerned with rising inflationary expectations. While I continue to believe that a return to the economic pattern of the early 1990s—when problems in the financial system created a headwind to growth—is a greater risk than a return to the stagflation of the 1970s, inflation is certainly more of a concern now, even with a declining economy, than at any point in the last decade. If the new president is not successful in pursuing a set of policies that maintain financial confidence, promote necessary adjustment, and assure adequate demand stimulus, the cyclical performance of the economy is likely to be poor—with very adverse consequences for the federal budget, for Americans’ confidence in themselves, and for their willingness to provide global leadership. Even a moderate recession would reduce average household income by $5,000 per family—a large amount. The reality is that the new president does not get to the medium- and long-term issues except through addressing the short-term ones. So the next president will need to be prepared as a first priority to focus on the cyclical performance of the American economy. 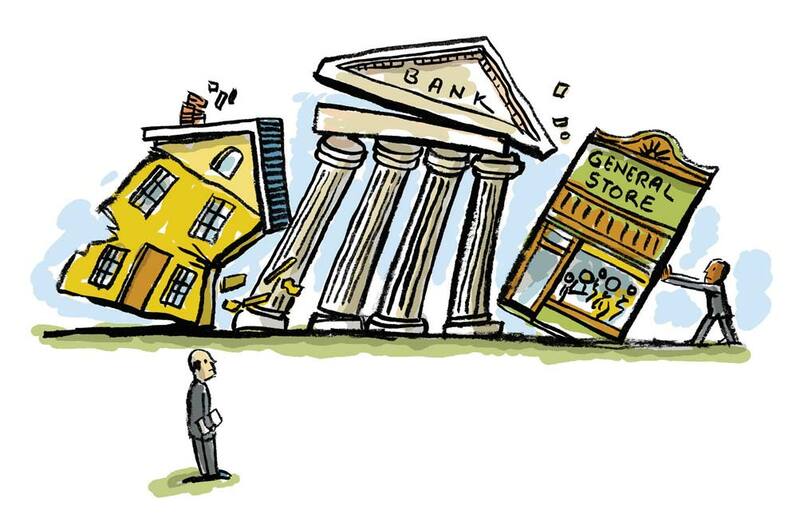 A second and closely related issue is the health of the financial system. The American financial system has in many ways been a source of great strength for our economy. Financial services have been a major source of jobs and profits. More importantly, the ability of the financial system to take capital from those who can’t use it well and give it to those who can is an important American strength. As I was fond of remarking during the 1990s, America is the only country where entrepreneurs can raise their first $50 million before they buy their first tie. For all of its strengths, however, this financial system has produced fairly frequent, traumatic shocks: the 1987 stock market crash, the 1990 savings-and-loan debacle, the 1994 Mexican financial crisis, the 1997 Asian financial crisis, the 1998 Long Term Capital Management drama, the 2000-2001 bursting of the NASDAQ stock bubble, and now the current crisis. It is more than reasonable to ask whether something more can be done to contain these crises and the threats to economic stability that they pose. This task is as difficult as it is important. It would be tragic if the dynamism and the flexibility of the American financial system were to be sacrificed in an effort to promote greater stability. At the same time, there is the very real difficulty that governments and public officials are not able to predict dramatic moves in financial markets with more accuracy than private-sector actors. While it is tempting to suppose that regulators can make problems go away simply by insisting that institutions hold more capital, the matter is considerably more complex. A great deal of financial activity has shifted from regulated bank entities to nonbank institutions and intermediaries. It is hard to imagine imposing capital requirements on all institutions, but the imposition of capital requirements on some is likely to drive financial intermediation activity outside of the regulated sector. Then there is the problem that our regulatory system has traditionally been oriented much more toward the protection and prudential behavior of individual institutions than toward the protection of the system as a whole. What is safe for any one institution in the face of downturns—deleveraging its balance sheet and liquidating assets—can easily be destabilizing for the system as a whole as many institutions sell assets into a declining market. As in every major area of economic policy, there are no perfect answers. But it would be very valuable to work toward a new regulatory blueprint that creates a system whose failures are less likely to have consequences for those outside the world of finance than the system we have today. Had the dramatic cyclical and financial events of the last year not taken place, I would have expected that the set of issues surrounding globalization and the rise of inequality would be paramount in this election. When Bill Clinton ran for president in 1992, productivity growth had been very slow for nearly two decades and so it was natural for policy to be focused on accelerating productivity growth as a strategy for raising the incomes of middle-income workers. Doing all that we can to promote productivity growth through improved education, improved innovation policy, and provision of appropriate infrastructure remains very, very important. However, the very substantial gaps that have emerged in recent years between productivity growth and growth in the income of average workers suggest an additional priority: assuring that the fruits of economic growth are reasonably shared. Here is a comparison that points up the stakes in a dramatic way. From 1979 to today, those in the bottom 80 percent of the income distribution lost 7 percent of their real annual income. Those in the top 1 percent gained 7 percent of their real annual income—and 43 percent of all their income was attributable to the shift in income distribution—in other words, to greater inequality. The magnitude of the transfer is $640 billion for the top 1 percent—or a gain of nearly $600,000 per family—and a decline of $7,000 for each household in the bottom 80 percent of the distribution. These numbers are enormous compared to the stakes in conventional debates on distributional policies or discussions of assistance for workers affected by trade. That brings us to globalization. No responsible observer of the U.S. economy could suppose that the trade agreements we have entered into have had anything but positive overall economic effects. They have benefited many American workers, and they have benefited all of us as consumers able to purchase lower-priced products. While certainly there has been some economic disruption from trade agreements, the reality is that the jobs lost due to trade agreements account for only a negligible fraction of job loss in the American economy. Unfortunately, in our political debates, trade agreements have become a proxy for the much broader phenomenon of globalization. Let’s put that in context. The Industrial Revolution in Europe two centuries ago resulted in perhaps 10 percent of the world’s people having their living standards increase one and a half times over their 45-year lifespans. Today, in China and India and some other developing economies, the living standards of 40 percent of mankind are increasing 7 percent per year—that’s 100-fold or more over their 70-year lifespans. The vast majority of globalization and increased global economic integration takes place as a consequence of the Internet and other technologies and as a consequence of the tremendous increases in the capacity of other nations to produce goods and services. Wages in the developed economies are many times those in the underdeveloped nations, reflecting differences in factors such as technology, education, information technology, capital, and innovativeness. But all of these are becoming more fungible and exportable today—suggesting pressure on those wage differences. While it is to be hoped that wage differences will be eliminated through upward adjustments in developing-country wages, this cannot be guaranteed. It is globalization in this latter sense—and not trade agreements—that is a potential threat to American workers. It cannot be met with protectionism, as policies and efforts to resist trade agreements are likely to be counterproductive: most trade agreements reduce foreign trade barriers by much more than U.S. trade barriers are reduced. So even on mercantilist grounds, such agreements are desirable because they generate more U.S. exports to the rest of the world than U.S. imports from the rest of the world. But if we are not successful in fostering a more equal income distribution at home, at least, and a greater sense that prosperity is inclusive, through policies to reduce income insecurity, I suspect it will be very difficult for us to contain protectionist pressures and to maintain a posture of global economic leadership. At the center of concerns about inequality and insecurity is the set of issues surrounding national health insurance and the American healthcare system. Certainly, plenty of mistakes were made in the Clinton administration’s early effort to universalize healthcare coverage. But much of what was said at that time about problems in healthcare has been proven true. It was suggested that if we did not make care universal, the number of Americans without health insurance would steadily rise—and it has, to nearly 50 million today. It was suggested that healthcare costs as a share of GDP would steadily increase, placing an ever greater burden on American firms in international competition. And it has: healthcare spending has risen from 13 percent to 16 percent of GDP, and there is some evidence that companies that move from the United States to Canada or Mexico do so more to avoid U.S. benefits costs than because of taxes. And it was suggested that the quality of healthcare in the United States might well suffer as a fragmented, fee-based system operated to discourage prevention and integrated approaches to the provision of care. That has been borne out, too. Particularly troubling is a recent Congressional Budget Office report suggesting that the differentials in healthcare and life expectancy between those with lower and those with higher incomes have increased considerably. Indeed, the gap between the most fortunate and the least fortunate Americans in life expectancy has risen by almost two years over the last generation. To put this in some perspective, complete elimination of cancer would only add a little bit more than two years to Americans’ life expectancy. Another way of seeing the failure of our system is to look at data on the treatment of certain conditions. Such research has been done on quite an extensive scale by former Harvard professor Christopher Murray (now at the University of Washington). His work, as I take it, implies that less than half of hypertension in the United States is discovered, and of that half, less than half is controlled—for a disease whose costs and consequences are great, and that we know how to detect and treat effectively and cheaply. As a country, surely we can do better. All these factors, and the increasingly shaky connection between adequate health insurance and the existence of stable, long-term jobs, tie health-insurance reform closely to the concerns about income inequality and workers’ insecurity in a globalizing economy. I have been emphasizing healthcare as a moral imperative and an imperative for our competitiveness. It is now the principal fiscal issue facing the federal government, too. From the looks of long-run projections of the fisc, Social Security and indeed the effects of an aging society generally are a second-order issue, compared to healthcare costs consistently growing far more rapidly than GDP. I am not optimistic at all about purely individualistic approaches that rely on people buying their own health insurance. Whatever their merits today, I believe such insurance mechanisms will become less and less feasible as more and more tests that individuals can use to predict their healthcare status become available. Some form of more collective approach will be necessary. Many of the leading models under consideration today are some variant on the Massachusetts state health-insurance plan. Perhaps these strategies will be availing, or perhaps more comprehensive change will be necessary. What would be a shame is if the country did not move forward on this vital issue during the next president’s first term in office. The final area of enormous policy significance is energy and the related question of the environment. Here I think our political leadership has let us down. I am fond of asking those involved with the politics of energy a very simple question. Is the basic objective of their program to raise energy prices to consumers so as to reduce use, dependence on foreign sources of supply, and carbon emissions? Or is the objective of their policy to reduce the burdens of unfair prices that consumers are now paying for energy? Without knowing the answer to this question, it is hard to see how we are going to make great progress as a country going forward. Almost certainly, now is not the moment for dramatic further price increases in energy, given the situation of the economy and the way in which consumers and many energy-using businesses are reeling. At the same time, with the economy getting used to far higher energy prices than were considered plausible even 18 months ago, it would be a great tragedy if prices were allowed to decline very sharply when the current crisis passes. So the crucial priority will be to maintain the momentum and incentive for savings caused by the current high-priced energy, whatever happens in the future. Right now, of course, the focus is on the spike in energy prices. But greenhouse-gas emissions are closely related. Each year, the science on global warming becomes more sobering. Each year, our ability to hit the Kyoto or other targets for controlling those emissions recedes. So that is a large part of any energy policy the next president has to pursue. This is obviously a large, challenging agenda. But I am convinced that all of these issues are susceptible to fixing by United States leadership. We do have the ability to stimulate the economy, to overcome the effect on consumers of the continuing financial problems and of higher gas and food prices. More importantly, beyond that, we do have the ability to begin to formulate a new theory of how to achieve sustained economic growth and development, like President Clinton’s plan of boosting productivity and incomes by investing in human capital; that’s been missing in recent years. And we do have the ability to rethink our domestic financial regulations carefully. At the same time, we do have the ability to address the challenges of globalization. That will involve investing in international institutions as we have in the past, and in international standards for capitalization of financial institutions, for corporate-income taxation, and for labor standards and organizing. We can negotiate such standards, imperfectly but better than what we have now, to prevent corporate arbitrage—avoiding regulation or taxation by playing one country’s rules off against another’s. We have the ability to address inequality, in all its complex causes, from education to technology and more. Doing so requires recognizing the need for appropriate government services—and for appropriate revenues to pay for them. And as I have outlined, we can pursue the kinds of policies we need to address the challenges in healthcare and energy and the environment. So this really is a turning-point election, with enormous challenges on a broad economic agenda. I believe America has the strengths to make progress on these pressing issues—and powerful incentives to do so. Eliot University Professor Lawrence H. Summers served as president of Harvard from 2001 to 2006, Secretary of the United States Department of the Treasury from 1999 to 2001, and chief economist of the World Bank from 1991 to 1993. Summers is a columnist for the Financial Times and a managing director of D.E. Shaw & Co., an investment-management firm. This essay is adapted from his remarks at a May 6 Harvard Business School conference of faculty and alumni involved in real estate, updated in mid summer to reflect the current economic conditions and concerns.